At Enable, we recognise that people, may require psychosocial support at times in their lives in order to live lives that are more meaningful to them. The support clients receive from Enable is tailored to reflect the individual needs of a person and at that particular time in their lives. It is constantly reviewed in order to ensure that it continues to meet the person’s needs. 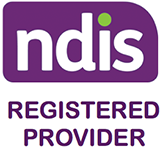 If you have eligibility under the NDIS for any disability including psychosocial disability, then you can rest assured that Enable; as a long established provider of support to clients be it under the NDIS, the Department of Communities (Disability) or the Mental Health Commission; is well experienced in providing the highest standards of personal support in the home and community. For clients who have an association with clinical providers of mental health care, then Enable has a proven record of working in collaboration with a wide range of clinical services but with a focus on providing individualised person centred support to you our client to assist you to live a meaningful life on your recovery journey.